A top five public university with more than 200 majors, Purdue delivers a hands-on learning experience and a world-class degree. 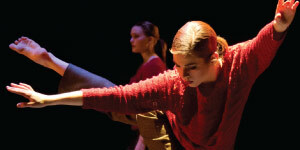 The College of Liberal Arts offers nearly 25 majors that can be completed in three years. This Degree in 3 program reduces college costs and gives grads a head start on careers. U.S. News & World Report ranks the Krannert School of Management among the nation’s top 25 undergraduate Business schools. We’re known for delivering higher education at the highest proven value. We’ve frozen tuition for seven straight years and reduced the cost of on-campus housing and dining, which means it will cost less to attend Purdue in 2019–2020 than it did in 2012–2013. Committed to student success across the board, we emphasize student-faculty interaction. Our student-faculty ratio is 13:1, comparable to that of private colleges. No wonder Purdue graduates areranked the ninth-most employablepublic university grads in the US, according to Times Higher Education. It’s true. Purdue grads are sought after. According to Purdue’s Center for Career Opportunities—itself ranked #3 in the nation—95% of Purdue’s 2017grads who were seeking employment landed a job, and 98% who wanted to continue their education are doing just that. With its four-season climate in West Lafayette, Indiana, Purdue offers outdoor activities year-round, be it sledding down Slayter Hill or taking a run through one of Purdue’s many fountains. The quintessential red-brick, tree-lined college campus combines a friendly Midwest vibe with Big Ten school spirit and a focused, entrepreneurial attitude. West Lafayette is ranked among the best college towns in the US, as well as one of the safest. And if you need a big-city fix, Chicago and Indianapolis are both within easy driving distance. Our campus is a rich environmentfor hands-on learning. Purdue hasits own airport; a $50 million+ research park; student-run restaurants;multiple visual and performing artsvenues; national-class football, basketball, and swimming facilities; a24-acre wooded horticulture park;a vibrant high-tech start-up scene—even farming facilities. Ninety-four percent of freshmen decide to live in one of our 16 residence halls, great places to make friends and study buddies. Plus, ouron-campus dining halls are award winning. About 20% of undergrads belong to one of the nearly 80 Greek chapters on campus, which include 11 multicultural organizations and nine historically African American fraternities and sororities. Purdue is a welcoming and inclusive campus. Sixteen percent of our students are international. We’re #4 when it comes to female graduates in engineering fields, and we’re thebirthplace of the National Society of Black Engineers. Additionally, Purdueearns a four out of five stars LGBTQ campus rating, according to Campus Pride Index. At Purdue, options for extracurriculars are more than a little outrageous, with nearly 1,000 student clubs and activities to choose from. Get healthy with the B-Veg club, rowwith the Purdue Crew team, or get involved locally with the Civic Engagement and Leadership Development club. 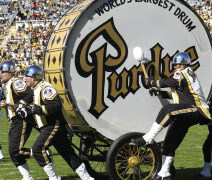 Purdue has a long performing artstradition and has dozens of musical ensembles, including the “All American” Marching Band, the famous Purdue Jazz Band, the Symphonic Band, the Varsity Glee Club,Black Voices of Inspiration, and many others. Purdue’s athletic teams, the Boilermakers, dominate men’s and women’s basketball in the Big Ten, and theyhave a lively student fan base. As for football, Purdue’s Homecoming is more than a game; it’s a time-honored tradition—a weekend for cheering on the team and celebrating with fellow Boilermakers. We know how important it is to experience other cultures. That’swhy we offer more than 400 studyabroad opportunities in 60 countries. Thanks to scholarships that make up to $3,000 available forstudents wishing to study abroad, more and more students can take advantage of this life-changing opportunity. 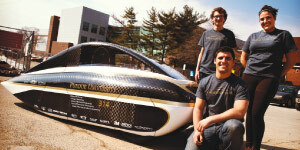 Purdue’s dedication to environmentalresponsibility is easy to see. On campus, students walk in the shade of over 8,000 trees. We’re cited in national listings as a Green Campus and Tree Campus USA, and sustainability initiatives in student dining courts help keep student costs down, contribute to local food banks, and reduce waste going to landfills.